You can return to our elder page or browse the pictures using the next and previous links. Such good foliage plants arent they Karen, am I right in thinking the Aurea goes red and gold in the autumn? Well, these are both new this year, so I don't know yet Tet. Next year they should be much bigger and better. Mine has been planted now for 5yrs in front garden Karen its been stunning and just stopped flowering. Oh, I should think so Donna! I'm looking forward to this one being that size next year...a bit more privacy from next door...good news. 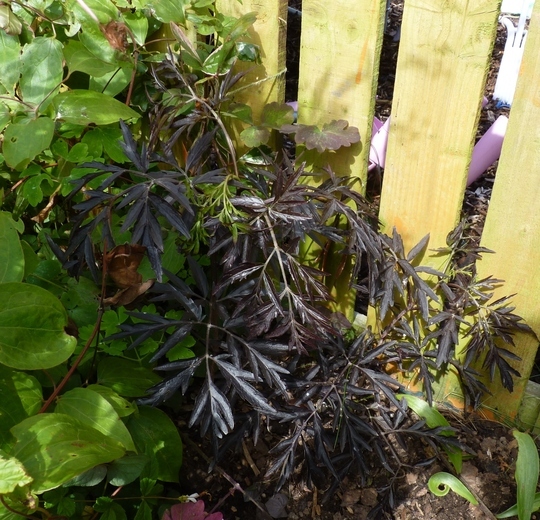 See who else is growing Sambucus Nigra.